Constitution of Pakistan and other statute have conferred jurisdiction upon High court. Jurisdiction of High court can be classified into extra-ordinary jurisdiction, original and appellate jurisdiction, and supervisory jurisdiction. It is through supervisory jurisdiction that High Court can transfer some criminal case from one court to another court. Criminal case can be transferred when it appears that a fair and impartial inquiry or trial cannot be held in any subordinate criminal court. That some questions of law unusual difficulty is likely to arise. That a view of the place in or near which any offence has been committed may be required for the satisfactory inquiry into or trial of the same. Criminal case can be transferred when it appears that some question of law of unusual difficulty is likely to arise. Criminal case can be transferred when it appears that a view of place in or near which any offence has been committed is required either for satisfactory inquiry into such offence or for satisfactory trial of such offence. That an order under this section will tend to the general convenience of the parties or witnesses. 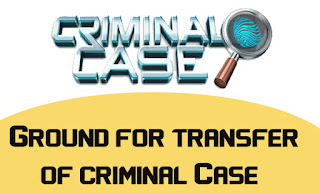 Criminal case can be transferred when it appears that an order about such transfer can be expedient for ends of justice and for promotion of ends of justice. 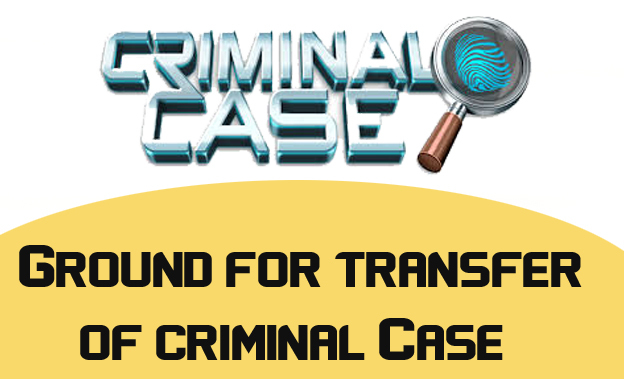 Criminal case can be transferred when it appears an order about such transfer is required by any provision of criminal procedure code. If good grounds for a transfer are made out, the court ought not to refuse it merely because the case has reached an advanced stage or because the transfer may entail expense and trouble to all concerned. The High Court, on receiving the application for transfer of case, may order the applicant to execute a bond for the costs of the opponent; and if the application is frivolous and vexatious, the costs of the opponent may be ordered to be paid by the applicant. The application for transfer should be supported by an affidavit; and the public prosecutor is entitled to have notice of it at least twenty-four hours ahead. To conclude, it can be stated that transfer of criminal cases cannot be claimed as a matter of routine or at wish of any of parties. Transfer of criminal cases can only be allowed on basis of sufficient grounds, which criminal procedure code has provided. Another settled principle is that criminal cases can be transferred through sou motu action of High Court or through application of state, accused, complainant or witnesses.